Socks that fit well and allow you to share your love for bowling! 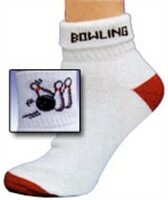 Due to the time it takes to produce the Master Ladies Bowling Pin Strike Socks ball it will ship in immediately. We cannot ship this ball outside the United States.